If you never made a soufflé before, you may feel that the dramatic rise of a soufflé is dependent on skills or a magical touch that is beyond you.... Fear no more! You do not need to hold your breath worrying about what is happening behind the over door. 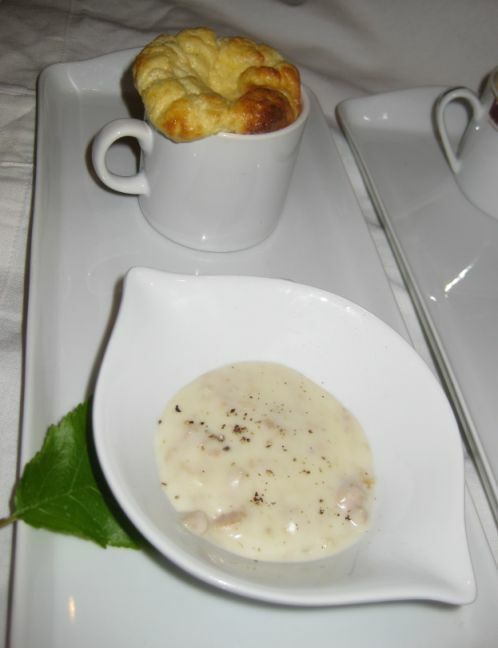 Soufflé means " to blow" in French so if you follow the instruction you should not have any problem with your soufflé. Soufflés are actually really easy to make as long as the egg whites are beaten until they are stiff and then gently folded into the base and that's the secret. They will puff up nicely and do not open the door of your oven to take a peek. Open only when the soufflés are ready to be served. 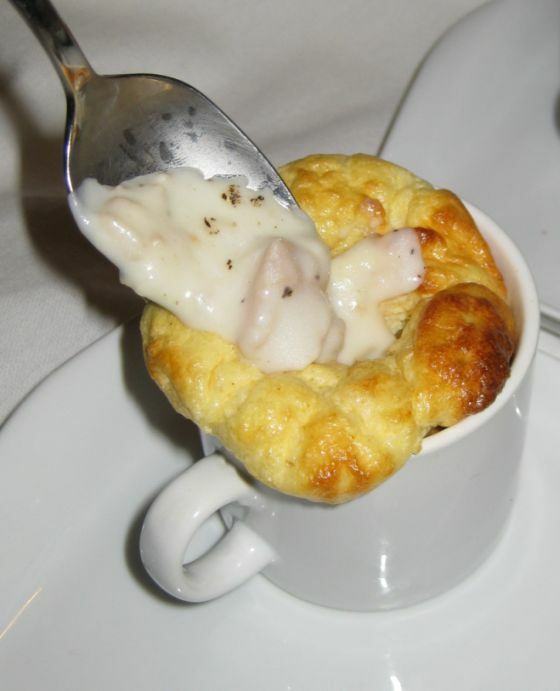 Usually cheese soufflés are served on their own but I think serving with a béchamel sauce really enhanced the flavor of the soufflé. 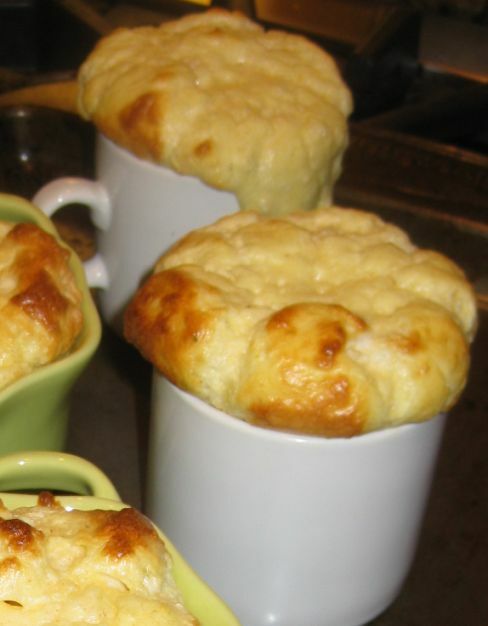 The soufflés are puff up and the top has a nice crust. 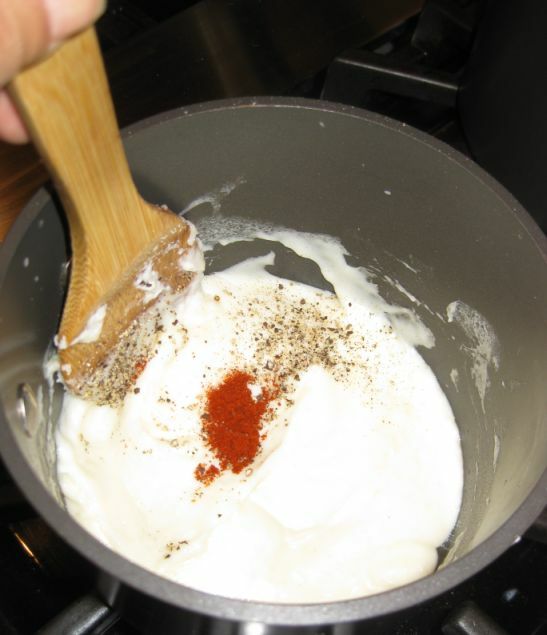 First you have to crack the top of the soufflé and then spoon in the béchamel sauce. Close up look at the coconut cupcakes. 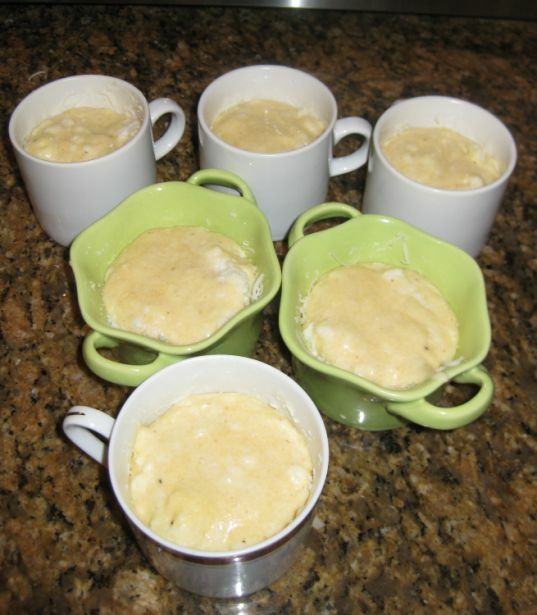 Yield six to 8 soufflé molds or a 3 quart mold. 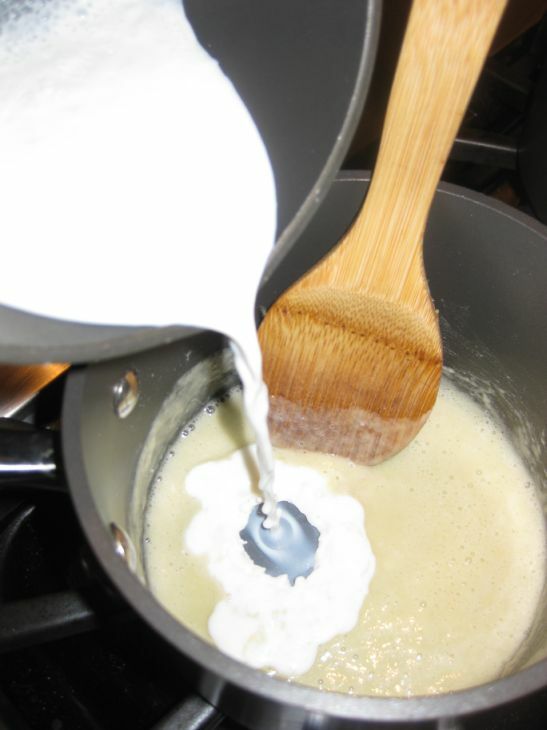 Heat the milk in sauce pan bring it into a boil and set aside. 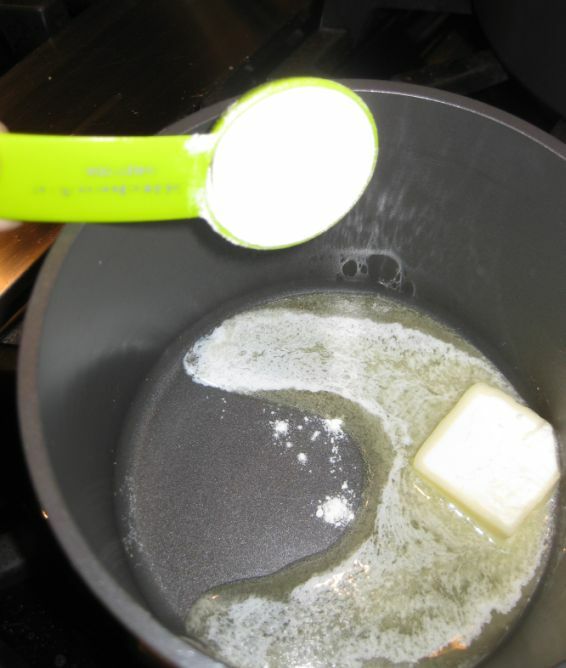 Melt the butter in the saucepan over medium heat and stir in the flour. 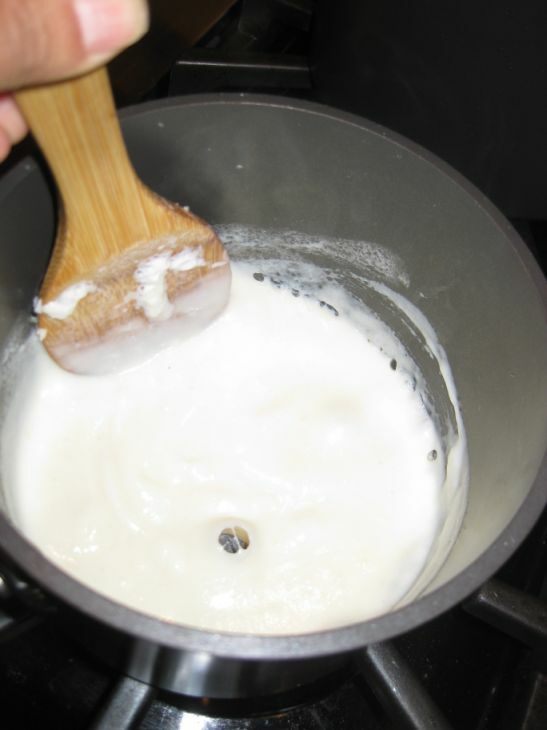 Stir with a wooden spoon to make a smooth paste. 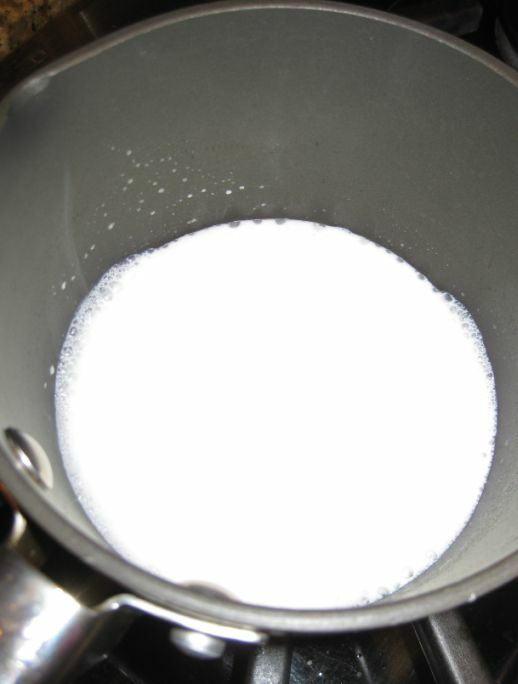 Pour the hot milk in at once. 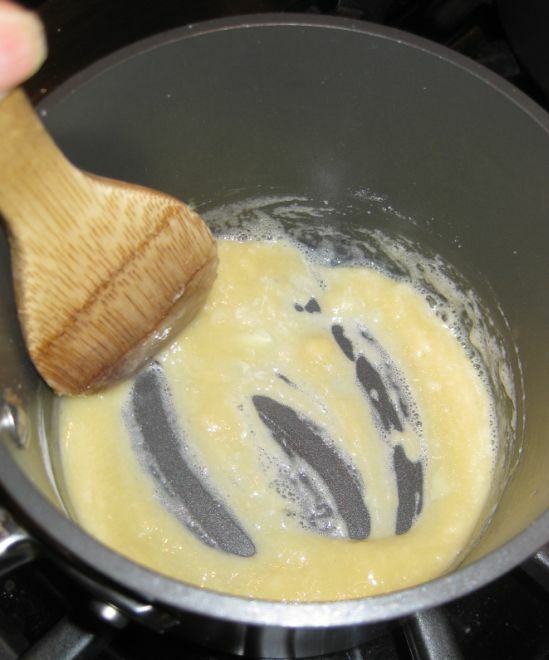 Whisking rapidly to blend the roux and milk. Bring the sauce to a boil over medium heat. 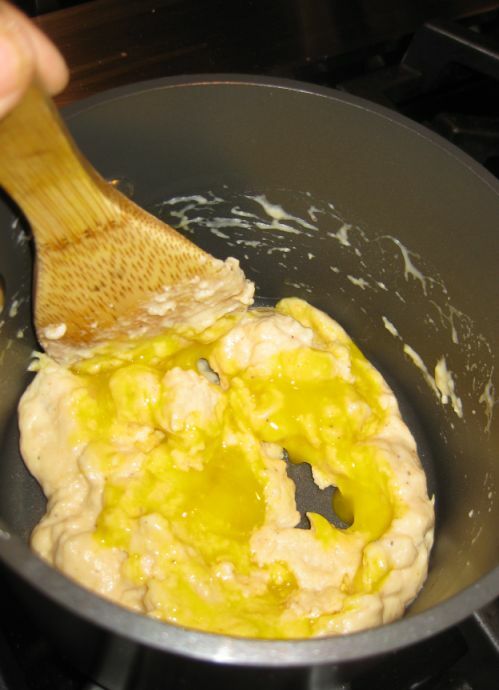 Keep stirring until it becomes as thick a mayonnaise. Turned off the head and add the paprika, salt, and pepper. 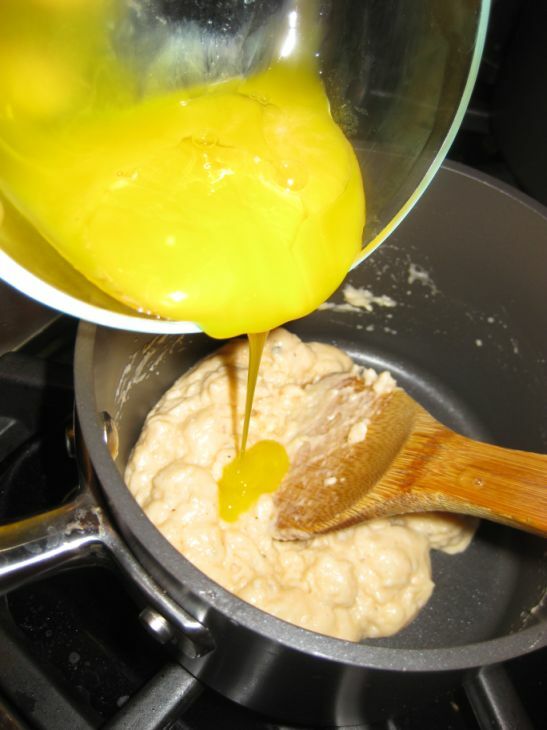 Keep stirring until the egg yolks are well incorporated. 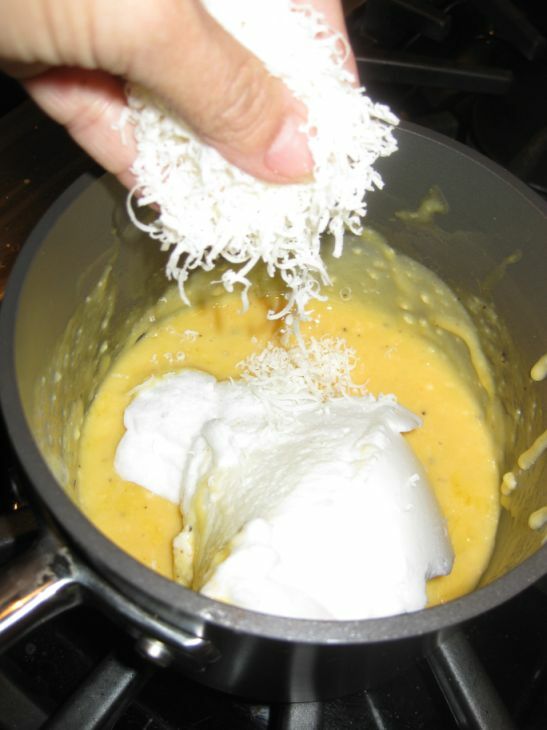 Scoop one quarter of the egg whites into the béchamel sauce and sprinkle the grated gruyere. 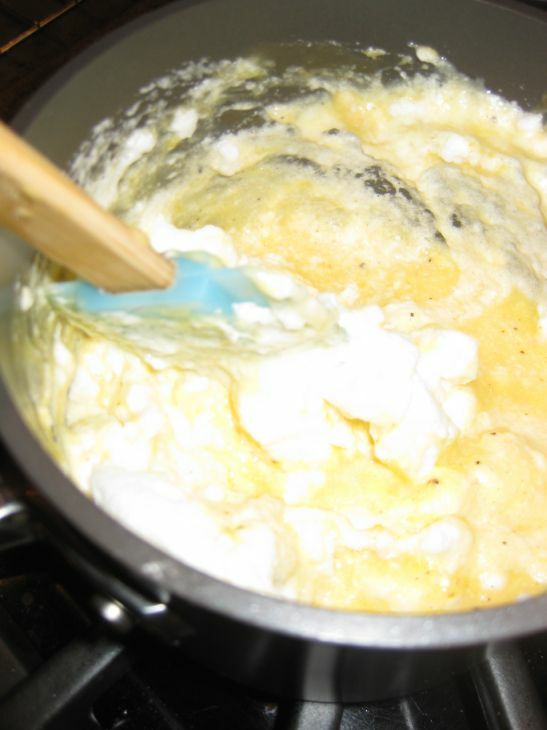 Fold until the egg whites are well mixed. 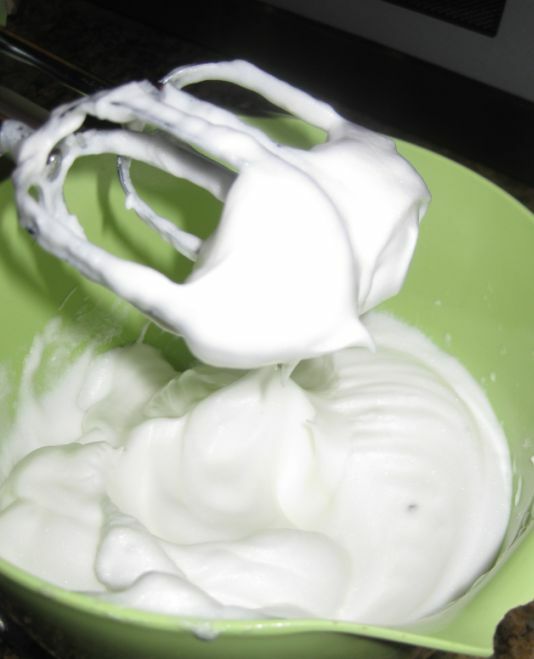 Add the remaining egg whites and keep folding until all the egg whites are used. 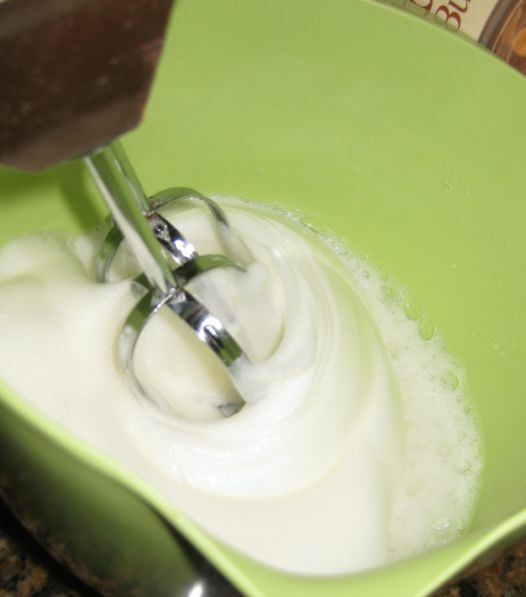 work rapidly and do not over blend and deflate the egg whites. 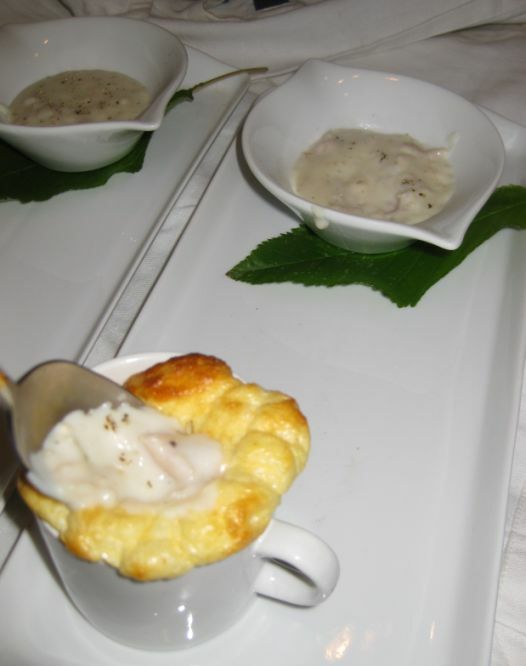 I am testing this recipe for a dinner party so I am using different shapes to see which one I like the best. 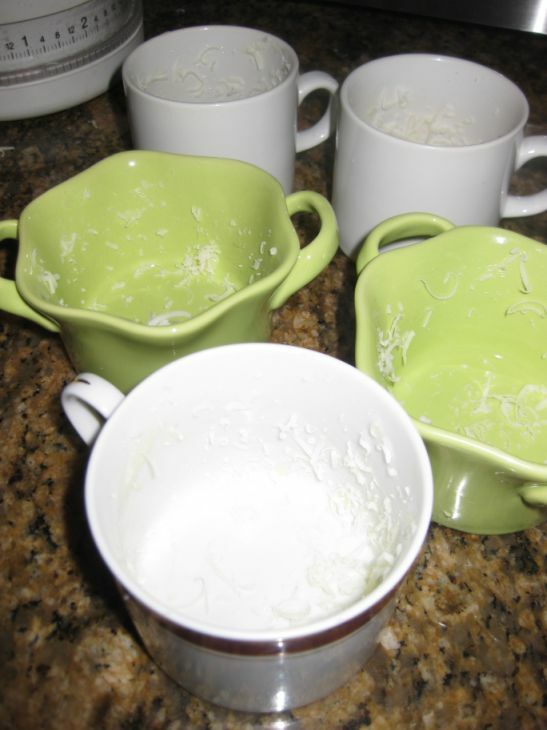 Start by buttering each cup and then sprinkle the cup with grated parmesan cheese. Fill each cup about 2/3 full. 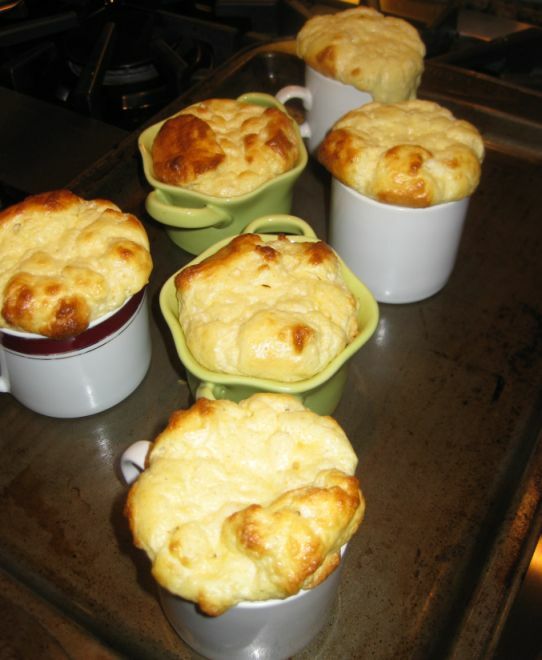 Preheat oven at 350 degrees for 5 minutes and bake the soufflés for 20 minutes or until they are puffed up. 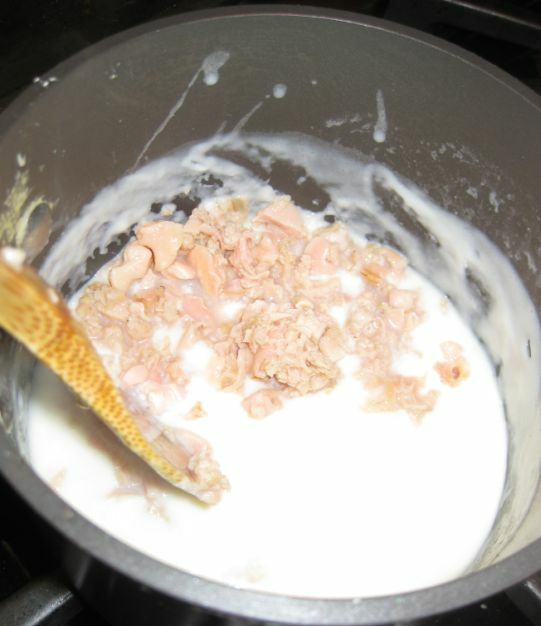 In the mean time make the béchamel sauce with clams. Repeat pictures 1 to 5. Add the whole can of clams (juice included) taste and adjust seasoning accordingly. Set aside until ready to serve. Freshly out of the oven... 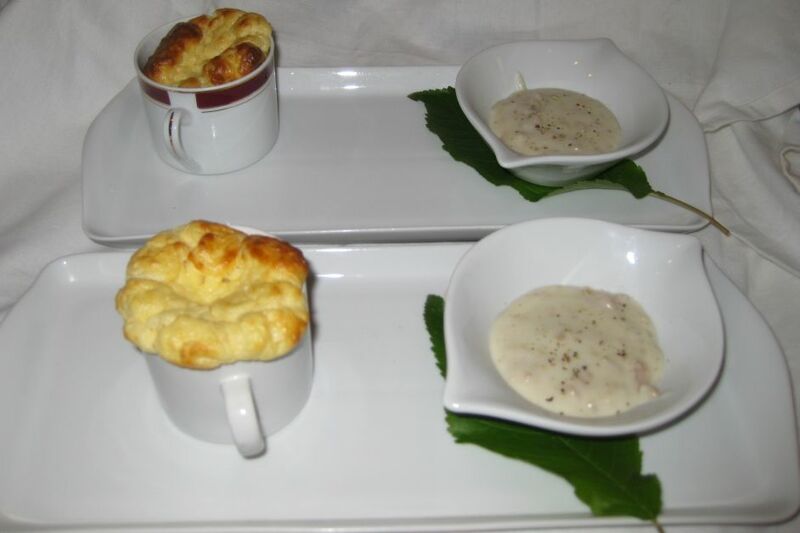 The soufflés are puff up and ready to be served.